Wing area 253 sq. in. Weight ready to fly 6.5 oz. The 3Decathlon was designed by E-TOC pilot RJ Gritter. 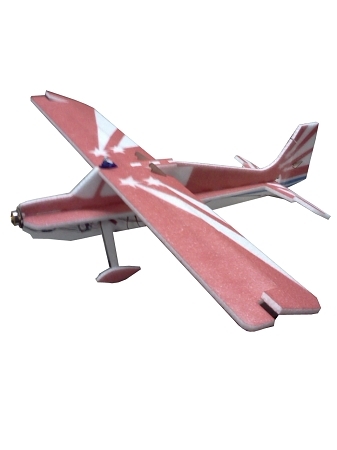 It is extremely capable even with the high wing. There is something great about seeing it fly by total stable in knife edge! This is one plane you can really show off with and not be flying just any run of the mill foamy. 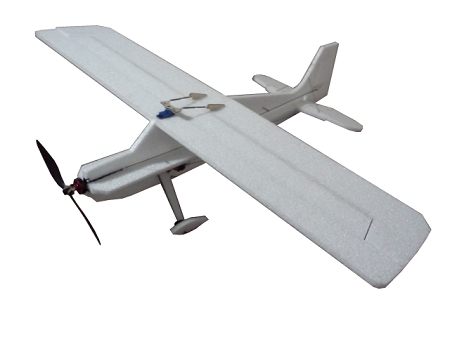 The kit come with a hardware pack that includes the spar, push rods, motor mount,control horns and landing gear. To download the instructions, click .